You can now filter the prospect event history by event type. Notes I hope you like it as much as we do! We have great news! You can now add "notes" to prospects from the prospect panel. The number of notes are displayed next to the prospect's name. The notes are displayed in the prospect's event history. The user can filter the prospect's event history to display only notes. We have updated our prospects campaign screen. 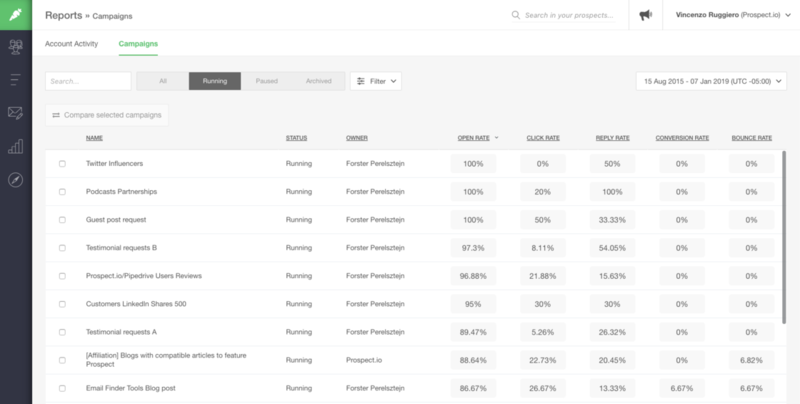 From now on, when you select a prospect in a campaign, the prospect panel will open right where you were. You will no longer go to the main prospects screen. 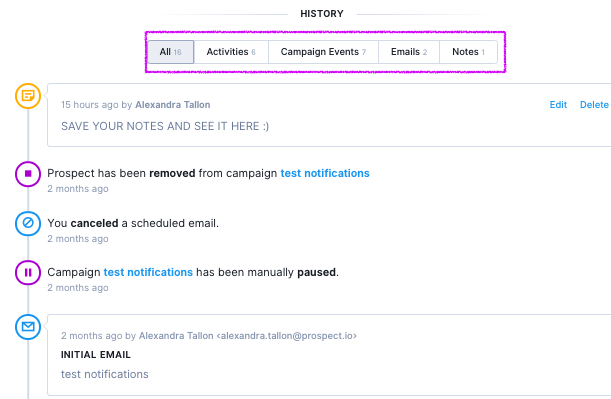 We have updated the notification step in the campaigns. 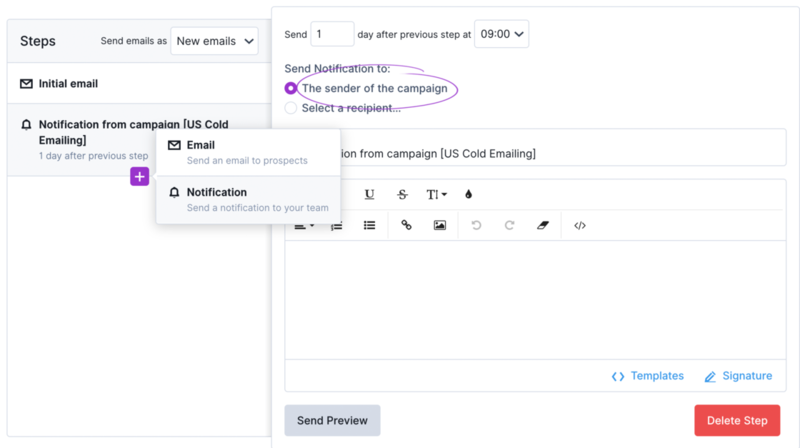 You can now choose to send the notification to the sender of the campaign instead of choosing a specific user. 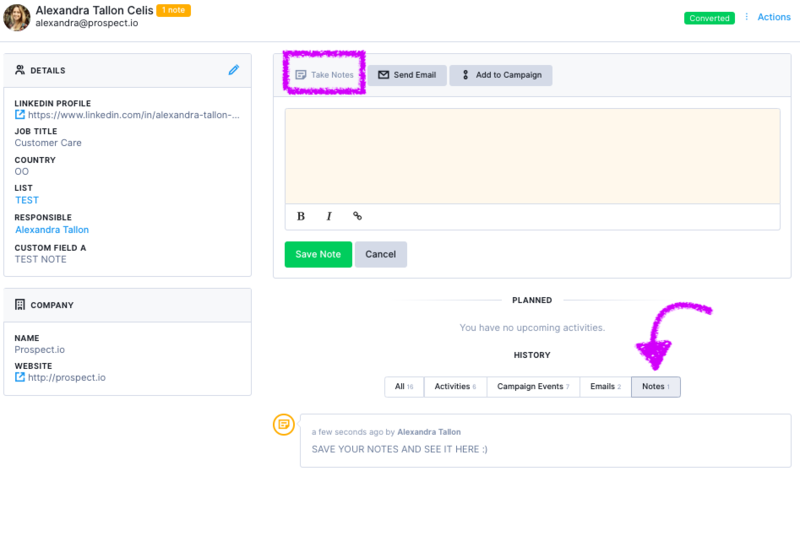 When using multiple senders for the same campaign you can now send the notification to the sender, dynamically. 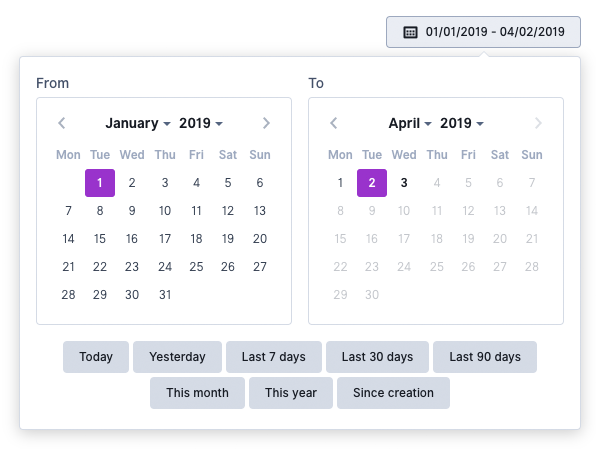 We improved the date selector you can find in the reports in your account. It's now way easier to select a start and end date. You can also simply use our pre-defined ranges like today, this month or even since creation that will return all available data. 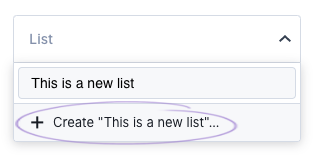 Thanks to our big application redesign you can now create a new list directly from the list selector, everywhere in the app. You may have noticed that we made some drastic changes in your Prospect.io account. Actually, we redesigned the entire application from the ground up! 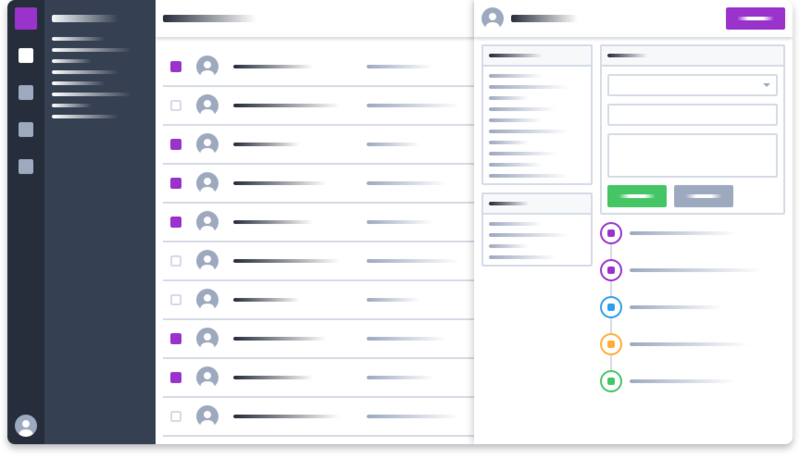 We wanted to achieve a better usability, more consistency, a more enjoyable user experience and make it easier for us to develop new features for you. Overall, we’re set on improving your productivity. You can now reorganize & show/hide columns according to what’s relevant to you. Also, on some screens, the first column is now frozen so you can easily scroll laterally and keep track of the prospects you’re working on. You can now see all the interactions you’ve had with a prospect in a single click without leaving the listing screen. The information just slides in and out at your convenience and you can edit the data super easily. Filters are now visible at all times when working with them and can easily be discarded or saved into a segment that will appear on the left of the screen. You can now import new prospects without leaving the Prospects screen in 2 steps instead of 5. Campaign comparison has been improved to appear in a side panel that slides in and out, which makes it easy to add and remove campaigns in and from the comparison without leaving the reports screen. We have great news! You can now compare the results of your campaigns in the report section. 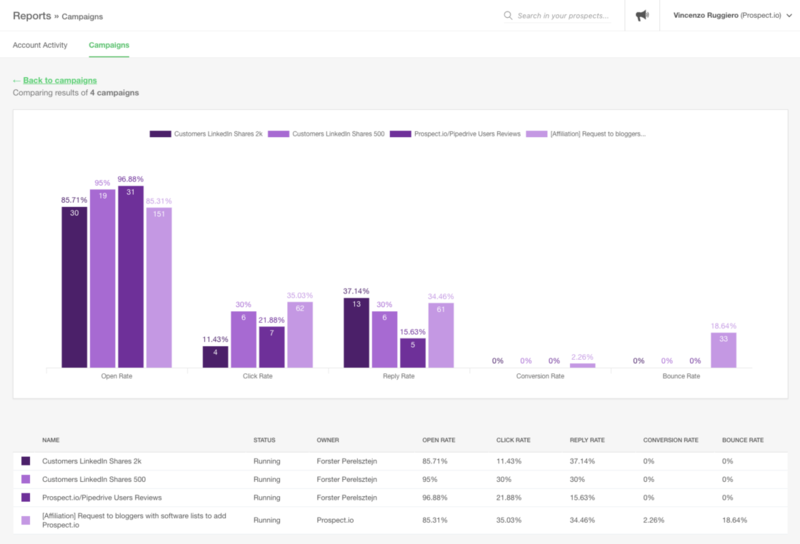 Be able to see all results (open, click, reply, conversion, bounce rate) for all your campaigns in the report section. Be able to compare results of your campaigns in a visual graph. 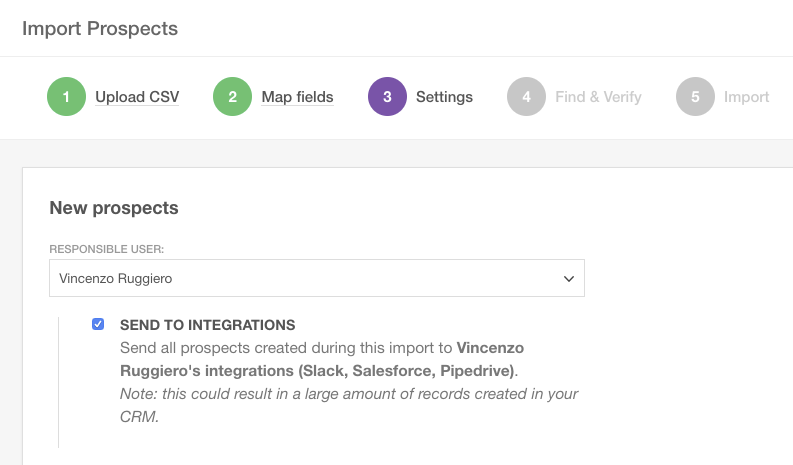 This means you can import prospects in Prospect.io and choose to directly create a new lead for each prospect in your CRM for example. Refer Prospect.io to your friends and get free credits! We have changed our referral program and it is now even easier for you to refer Prospect.io. Surely Prospect.io will start publishing changelogs very soon.